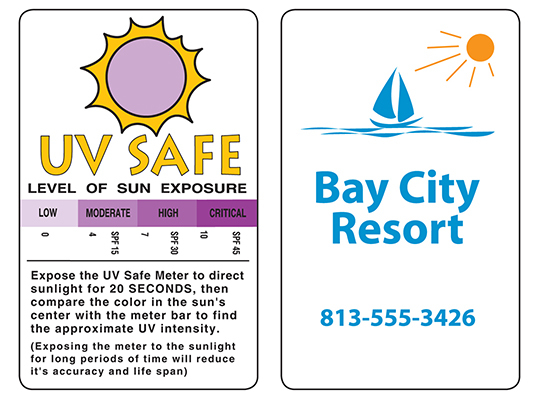 Reusable UV Safe Indicating Card. Exposing the card to the sun indicates level of harmful UV rays. Only expose for 20 seconds. Do not leave exposed. Reusable and includes Sun Exposure Chart.